Shoestring 9/11: Was Delta 1989 Part of a Live-Fly Hijacking Exercise on 9/11? Was Delta 1989 Part of a Live-Fly Hijacking Exercise on 9/11? The aircraft was Delta Air Lines Flight 1989, a Boeing 767 that had taken off from Boston. From around 9:30 a.m., it was repeatedly suspected of having been hijacked. Even though subsequent events had indicated the aircraft was fine, a police SWAT team and FBI agents were sent out to it after it made an emergency landing in Cleveland, Ohio, and it was not until about two hours after the plane landed that all its passengers had been allowed off. While a person might dismiss the suspicions about Delta 1989 as understandable mistakes in the chaos and confusion of the attacks, there is another possible explanation for what happened. We know that the U.S. military and other government agencies were running various training exercises on September 11. At least one military exercise was scheduled to include the scenario of a plane being hijacked. In light of this, the possibility arises that Delta 1989 was playing the part of a hijacked aircraft in a training exercise, and this led to all the mistaken reports about it. Certainly, the number and nature of suspicious incidents around Delta 1989 make this possibility seem worthy of serious consideration. While much remains speculative, if this explanation is correct, it would have serious implications. It would mean that, at the time the attacks took place, a "live-fly" exercise was being conducted, which involved a real aircraft pretending to be hijacked. It would imply that this exercise was not promptly canceled, but instead continued throughout the entire duration of the attacks. And it would raise a sinister possibility: that the role of Delta 1989--and the exercise it participated in--was to somehow help rogue individuals within the U.S. military and government to successfully perpetrate the 9/11 attacks. There are two specific categories of evidence indicating that Delta 1989 was a mock hijacked aircraft in an exercise. Firstly, there were incidents where the plane and its pilots behaved unusually, such as failing to respond to radio communications. It was as if they were playing the part of a plane under siege, in order to test the ability of Federal Aviation Administration (FAA) and military personnel on the ground to recognize and respond to a hijacking. Secondly, there were incidents where some government personnel and members of the military alerted others that Delta 1989 had been hijacked, or was in danger of being hijacked, apparently with little justification for doing so. It is at least possible that these individuals were 'injecting' false information into the system, for the sake of the exercise, in order to create a realistic impression that Delta 1989 had been hijacked, when in reality it was fine. I will describe this evidence later on, and then conclude by examining a military exercise that was held in mid-2002, which makes clear what kind of role Delta 1989 might have played in an exercise on September 11. Some accounts have claimed that Delta 1989's similarity to Flights 11 and 175 contributed to it mistakenly being suspected as hijacked. But if Delta 1989 was involved in a training exercise, this would mean that an exercise was scheduled for 9/11 in which the mock hijacked aircraft had almost identical characteristics as two of the aircraft targeted in the real-world attacks. This would be an extraordinary "coincidence," to say the least, if not highly suspicious. WAS DELTA 1989 PLAYING A HIJACKED AIRCRAFT IN AN EXERCISE? When NORAD's Northeast Air Defense Sector (NEADS) in Rome, New York, was notified of the first real-world hijacking at 8:38 a.m., its mission crew commander, Major Kevin Nasypany, thought this was part of the exercise, which he'd helped to design. He said out loud, "The hijack's not supposed to be for another hour." NEADS was in fact alerted to the suspected hijacking of Delta 1989 almost exactly one hour later, at 9:39 a.m. This was therefore around the time it was due to be notified of the simulated hijacking in the exercise, and supports the contention that Delta 1989 was playing the targeted aircraft in that exercise. Delta 1989 made an emergency landing at Cleveland Hopkins Airport shortly after 10:15 a.m.  Cleveland was one of six major Ohio cities that for several years had been part of a federal program to help defend against domestic terrorism. A possibility therefore worth considering is that the decision to land Delta 1989 in Cleveland was made before 9/11, so that personnel on the ground there would be able to respond to a simulated hijacking, as part of a training exercise for this federal program. As previously mentioned, there are two categories of evidence that suggest Delta 1989 was playing a hijacked aircraft in an exercise. The first category involves incidents where the plane and its pilots behaved suspiciously. These incidents are summarized below. According to a detailed chronology produced shortly after 9/11 by the Cleveland Airport air traffic control tower, "One anomaly that perpetuated concern" at the TRACON was that Paul Werner "never used the 'heavy' designator in his communications." The term "heavy" notifies controllers that they need to provide extra space behind very large aircraft, which are above a certain weight, because these aircraft generate significant wake turbulence. The TRACON controllers used this important term in their communications with Delta 1989, but "the pilot did not respond with it." Could the reason Werner failed to use the 'heavy' designator be that he was acting the part of a pilot who was surreptitiously trying to alert controllers that something was wrong on his flight, as part of an exercise? If Delta 1989 was taking part in a training exercise, the evidence above raises an important question: How aware were the pilots that real-world attacks had occurred in New York and Washington? Reportedly, at around 9:15 a.m., they heard over the radio that two aircraft had crashed into the World Trade Center. According to USA Today, Werner figured these planes "must be small ones--not passenger jets like the Boeing 767 he commands." The pilots also heard the hijacker transmissions, apparently coming from Flight 93, between 9:28 and 9:39 a.m. But did they think these hijacker communications and the news of the attacks in New York were real, or did they believe they were part of an exercise? The question remains uninvestigated and, therefore, unanswered. The second category of evidence that Delta 1989 was playing a hijacked aircraft in an exercise is a series of incidents where personnel within the military and other government agencies reported that the flight had been hijacked, or was in danger of being hijacked, apparently without having much evidence that this was the case. Again, individually these incidents could be dismissed as understandable results of the morning's confusion, or as concerns elicited by the unprecedented and shocking events taking place. But the number of incorrect reports suggests the possibility that false information was being deliberately 'injected' into the system for an exercise, to create a realistic impression that Delta 1989 was a hijacked aircraft. The incidents are summarized below. iii) The third incident from before Delta 1989 was suspected as hijacked occurred at 9:27 a.m. Colonel Alan Scott, the former vice commander of the Continental United States NORAD Region, told the 9/11 Commission that, at this time, the FAA's Boston Center reported to NEADS "a fifth aircraft missing, Delta Flight '89." Boston Center's report to NEADS was odd for two reasons. Firstly, Delta 1989 "never turned off its transponder," according to the 9/11 Commission, so it was never missing and should have been clearly visible on radar at all times. Secondly, at 9:27, Delta 1989 was being handled by the FAA's Cleveland Center, not the Boston Center. So why did the Boston Center contact NEADS about a flight that was not under its command? If, as the evidence above indicates, Delta 1989 was part of a military exercise based around a fictitious aircraft hijacking, this raises serious questions about the events of 9/11 and the emergency response to the attacks. But if Delta 1989 was participating in it, then the evidence indicates that this exercise continued for much longer. For example, NEADS received the incorrect report that Delta 1989 was a possible hijacking at 9:39 a.m., and called the FAA's Cleveland Center to report the aircraft as a "confirmed hijack" at 9:45 a.m. These two communications could have been part of the exercise, intended to 'inject' a realistic impression of a hijacking into the system. And it appears that Delta 1989 may still have been playing a hijacked aircraft while it came in to land (with the pilot failing to use the 'heavy' designator), and continued doing so after it landed at around 10:18 a.m. (when the pilot appeared out of the plane's window, apparently with blood running down his face). This would mean the exercise continued throughout the entire duration of the real-world attacks, ending only after the fourth aircraft to be targeted--Flight 93--supposedly crashed in Pennsylvania at 10:03 a.m. If this was indeed the case, why was the simulated hijacking allowed to continue for so long? And who was responsible for this? This exercise involved two real aircraft being "hijacked," with actors playing the terrorists. 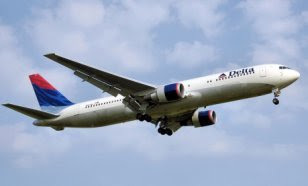 One aircraft, a Delta Air Lines 757, was bound from Utah to Alaska and was taken over by FBI agents acting as hijackers. The other was a Navy C-9 bound from Washington State to Vancouver, Canada, with members of the Royal Canadian Mounted Police playing the hijackers. On both planes, military personnel acted as civilian passengers, but the 757 had actual Delta Air Lines pilots at the controls. According to a NORAD spokesman, "both aircraft ... were to receive instructions once in-air, detailing the hijacking scenario affecting them and the roles they were to play." NORAD launched fighter jets in response to the simulated hijackings. CNN reported before the exercise: "We don't know exactly how these [simulated] hijackings will play out. Neither do the pilots. Even their bases from which the U.S. and military--the U.S.-Canadian jets will be scrambled, don't know they are." After NORAD ran through a number of scenarios, the mock hijacked planes landed and law enforcement officers on the ground ran through scenarios around dealing with the hijackers. Could Delta 1989 have been taking part in a similar exercise on September 11? Were some of its passengers played by military personnel or other government employees? Only a thorough new investigation of the 9/11 attacks can answer these and the many other crucial questions that remain, around Delta Air Lines Flight 1989 and its possible involvement in a training exercise on September 11. Matthew L. Wald and Don Van Natta Jr., "Impact of Grounding Jets is Still Unclear." New York Times, October 18, 2001; Marilyn Adams, Alan Levin, and Blake Morrison, "Part II: No One Was Sure if Hijackers Were on Board." USA Today, August 12, 2001; 9/11 Commission, The 9/11 Commission Report: Final Report of the National Commission on Terrorist Attacks Upon the United States (Authorized Edition). New York: W. W. Norton & Company, 2004, pp. 27-28. Paul Singer, "No Explosives Found on Cleveland Plane." Associated Press, September 11, 2001; Matthew L. Wald and Don Van Natta Jr., "Impact of Grounding Jets is Still Unclear"; Marilyn Adams, Alan Levin, and Blake Morrison, "Part II: No One Was Sure if Hijackers Were on Board"; Tiana Velez, "How a Tiny Ladybug Changed the World for a Pilot on 9/11." Arizona Daily Star, September 24, 2007; Lynn Spencer, Touching History: The Untold Story of the Drama That Unfolded in the Skies Over America on 9/11. New York: Free Press, 2008, p. 167. 9/11 Commission, The 9/11 Commission Report, p. 28; Michael Bronner, "9/11 Live: The NORAD Tapes." Vanity Fair, August 2006. Marilyn Adams, Alan Levin, and Blake Morrison, "Part II: No One Was Sure if Hijackers Were on Board"; "Memorandum for the Record: Interview With John Werth, Air Traffic Controller, Area 4, Lorain Sector." 9/11 Commission, October 1, 2003; 9/11 Commission, The 9/11 Commission Report, pp. 11-12, 28. See "Complete 9/11 Timeline: Training Exercises on 9/11." History Commons. Michael Bronner, "9/11 Live: The NORAD Tapes." "Timeline of the Events of the Day of 9/11 Drafted by the 9/11 Commission." 9/11 Commission, n.d.
 "Cleveland Security." The Spotlight, WCPN, September 20, 2001. Lynn Spencer, Touching History, pp. 167-168. U.S. Congress. House. Committee on Transportation and Infrastructure, Statement of Jane F. Garvey, Administrator, Federal Aviation Administration, Before the House Subcommittee on Aviation, Committee on Transportation and Infrastructure. 107th Cong., 1st sess., September 21, 2001; Alan Levin, Marilyn Adams, and Blake Morrison, "Part I: Terror Attacks Brought Drastic Decision: Clear the Skies." USA Today, August 12, 2002; 9/11 Commission, The 9/11 Commission Report, p. 29. Marilyn Adams, Alan Levin, and Blake Morrison, "Part II: No One Was Sure if Hijackers Were on Board"; Lynn Spencer, Touching History, p. 167; Alan Levin, "For Air Controller, Terror Still Vivid 7 Years Later." Lynn Spencer, Touching History, p. 168. "DAL 1989 Order of Events"; "Co-Located TRACONs (Terminal Radar Approach Control)." Federal Aviation Administration, March 24, 2006. "DAL 1989 Order of Events." Meryl Getline, "Who You Calling Heavy?" USA Today, June 1, 2005; Meryl Getline, "Organs on Board." USA Today, May 22, 2006. Ibid. ; Michael O'Mara, "9/11: 'Fifth Plane' Terror Alert at Cleveland Hopkins Airport." WKYC, September 11, 2006. Lynn Spencer, Touching History, p. 270. Marilyn Adams, Alan Levin, and Blake Morrison, "Part II: No One Was Sure if Hijackers Were on Board"; 9/11 Commission, The 9/11 Commission Report, pp. 11-12; Lynn Spencer, Touching History, pp. 166-167. 9/11 Commission, The 9/11 Commission Report, pp. 10, 455. Ibid. p. 23; Staff Report: The Four Flights. 9/11 Commission, August 26, 2004, pp. 25-26. National Commission on Terrorist Attacks Upon the United States: Public Hearing; "Timeline 6/17/03 Based on NEADS-FAA Transcripts." 9/11 Commission, June 17, 2003; "Timeline of the Events of the Day of 9/11 Drafted by the 9/11 Commission." 9/11 Commission, The 9/11 Commission Report, p. 28. Marilyn Adams, Alan Levin, and Blake Morrison, "Part II: No One Was Sure if Hijackers Were on Board"; 9/11 Commission, The 9/11 Commission Report, p. 10. Michael Bronner, "9/11 Live: The NORAD Tapes"; "Timeline of the Events of the Day of 9/11 Drafted by the 9/11 Commission." 9/11 Commission, The 9/11 Commission Report, pp. 27-28. "NEADS Audio File, Identification Technician, Channel 4." North American Aerospace Defense Command, September 11, 2001; "Memorandum for the Record: Interview With Kim Wernica, Operations Manager at Cleveland ARTCC on 9/11." 9/11 Commission, October 2, 2003; "Timeline of the Events of the Day of 9/11 Drafted by the 9/11 Commission." "Memorandum for the Record: Interview With Kim Wernica, Operations Manager at Cleveland ARTCC on 9/11"; Alan Levin, "For Air Controller, Terror Still Vivid 7 Years Later." Lynn Spencer, Touching History, pp. 191-192. Paul Singer, "Plane Makes Emergency Landing." Associated Press, September 11, 2001; "Cleveland Reacts to the Terror." The Spotlight, WCPN, September 12, 2001; "Cleveland Security." Michael O'Mara, "9/11: 'Fifth Plane' Terror Alert at Cleveland Hopkins Airport"; Lynn Spencer, Touching History, p. 229. Paul Singer, "No Explosives Found on Cleveland Plane"; Lynn Spencer, Touching History, p. 271. Jason Tudor, "Inner Space: Cheyenne Mountain Operations Evolve Following Sept. 11 Hijacking." Airman, March 2002. Leslie Filson, Air War Over America: Sept. 11 Alters Face of Air Defense Mission. Tyndall Air Force Base, FL: 1st Air Force, 2003, p. 59. 9/11 Commission, The 9/11 Commission Report, p. 30. "NORAD to Sponsor Multi-Agency, Bi-Lateral Exercise." U.S. Department of Defense, May 31, 2002; Steven Komarow and Tom Squitieri, "NORAD Had Drills of Jets as Weapons." USA Today, April 18, 2004. Gerry J. Gilmore, "NORAD-Sponsored Exercise Prepares for Worst-Case Scenarios." American Forces Press Service, June 4, 2002; "Airborne Anti-Terrorist Operation Getting Underway." Live Today, CNN, June 4, 2002; "Mock Hijacks Play out Over U.S., Canada." United Press International, June 4, 2002; Nick Wadhams, "Joint U.S., Canadian Hijacking Drill Takes off With Whidbey Flight." Associated Press, June 5, 2002. Great! Thanks for helping get this information out to a wider audience. Informative article! Thanks for posting. Okay so what happened here is the Pentagon was conducting a simulated hijacking training exercise using commercial civilian aircraft without the passengers knowledge. Perhaps? And the alleged hijackers were agents the Military/CIA thought they could trust and used as actors. They were double agents perhaps? And thus, turned the simulated hijacking into a real one. Hence the cover-up. Flight 1989 is the key. If only Capt. Werner would talk. Delta 1989 was a real flight; "Delta 89", spotted by NEADS for approximately 5 minutes, squawking a 7xxx code, was likely an exercise aircraft, or even the real flight 93. The real question is who was "Delta 89", tracked by NEADS for close to 5 minutes from 1340z to 1345z, was squawking 7112, different from Delta 1989, squawking 1304. Based on local reports from Cleveland, 2 aircraft, the first being Delta 1989 and the second being "aircraft x", were evacuated to different facilities at Cleveland Hopkins. What was this second aircraft? "Delta 89"? Why did aircraft x turn off its xponder at 1344z and wasn't seen or heard of again that day?